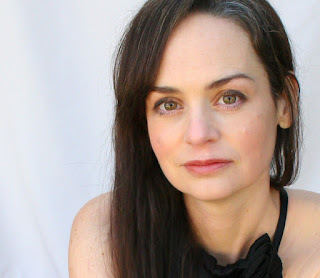 Julianna Baggott is the author of seventeen books, most recently The Provence Cure for the Brokenhearted under her pen name Bridget Asher, as well as The Pretend Wife and My Husband’s Sweethearts. She’s the bestselling author of Girl Talk and, as N.E. Bode, The Anybodies Triology for younger readers. 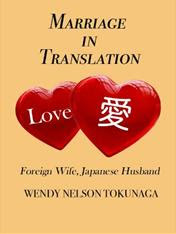 Her essays have appeared widely in such publications as The New York Times Modern Love column, Washington Post, NPR.org, and Real Simple. Brokenhearted and still mourning the loss of her husband, Heidi travels with Abbott, her obsessive-compulsive seven-year-old son, and Charlotte, her jaded sixteen-year-old niece, to the small village of Puyloubier in the south of France, where a crumbling stone house may be responsible for mending hearts since before World War II. There, Charlotte confesses a shocking secret, and Heidi learns the truth about her mother’s “lost summer” when Heidi was a child. As three generations collide with one another, with the neighbor who seems to know all of their family skeletons, and with an enigmatic Frenchman, Heidi, Charlotte, and Abbot journey through love, loss, and healing amid the vineyards, warm winds and delicious food of Provence. Can the magic of the house heal Heidi’s heart, too? I enjoyed reading this book, which unfolds like a long and lovely, delicious, French meal and is just as satisfying! And I was so interested to find out more about Julianna, who wears so many writers’ hats. She is an inspiration to us all! The Provence Cure for the Brokenhearted is one of your novels written under the pen name Bridget Asher. You also write YA books under another pseudonym (N.E. Bode) as well as poetry and other writing under Julianna Baggott. How did you come to take on these "multiple personalities" and how do you keep them separate and manageable? It's a little personality-disorder, isn't it? Bode came about as a way to keep being prolific. (I love N.E. Bode, dimpled with innocence, being hunted down by his insanely jealous creative writing professor. He's a peach.) Bridget Asher was an attempt to build an audience. My writing is such buckshot that I wanted readers to be able to find at least one name they could rely on. I hope Bridget delivers that. You also are an associate professor for Florida State University's Creative Writing Program and received your MFA in Creative Writing from the University of North Carolina at Greensboro. What are your thoughts on the proliferation of MFA programs in the United States? Do you think MFA programs are preparing their students well for the tough world of publishing? It's my job, primarily, to teach people how to write stronger in their own unique ways -- to develop empathy, voice, imagination, strategic thought, basically a number of transferable skills, things they'll need whether they become novelists, artists, or go into the art of politics, medicine, law. And so the market and the industry don't come up in workshop, proper. I do give lectures on the nuts and bolts of publishing. I bring in articles on the industry. We haul in agents and editors. We have a literary magazine where students get a feel for the editorial end. So, in the end, it's a mix. But at the fore, it's about craft, not career. 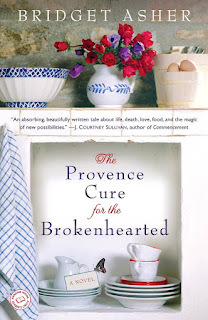 What was the inspiration for writing The Provence Cure for the Brokenhearted? What do you want readers to take away from this book? Walk us through the development of The Provence Cure for the Brokenhearted. Did you end up changing anything in the structure during revision? Add or delete characters? Rework the backstory? I knew the first half of the novel and I knew events in the second half—because we'd lived in this little village for a month and I'd stockpiled real life stuff. But I didn't know how these things would play out. And one of the characters had a huge secret that she didn't even let me in on—until someone else spilled it. I love it when my characters have lives of their own. Who are among your favorites of current female novelists? A dystopic post-apocalyptic trilogy called Pure, which will be published in February. Film rights were bought by Fox2000. It's a massive thriller-esque world-building trilogy. A huge undertaking. Wild fun. I'm also sketching the next Bridget Asher novel—the starry-eyed falling in love early days. What was your road to publication like? What advice would you give aspiring writers in achieving success in publishing? It's great if you have some bounce. Expect to fail. Be surprised by successes. It's hard. Be tough. Create a bond with rejection. Get chummy with criticism. As a professor, novelist, poet, YA writer, mother wife, literacy activist, blogger, etc., etc. (!) can you enlighten us on how you manage your time? My husband is a stay-at-home dad. Otherwise, there's no way it could work. I use my freshest brain cells on my own creative work. I sometimes stay up late, playing catch up. My creative process has morphed to rely on near-constant interruption. Do you work on books simultaneously? If so, what are the challenges of doing this? I do. I call it cross-training. When one project fights me, I let it sit, but stay busy at work on another. It's a habit that leads to more overall pages. The publishing and book industry has been undergoing much change. How has this affected you as a writer? For one thing, being here (on a blog) is part of the new world. I prefer this (VERY MUCH) to touring. I love being at home and turning to blogs as a way of travel without planes. Things are changing very quickly. I'm fascinated. I think that there might be a growing power shift toward writers themselves. I don't understand it or how it will play out, but I'm optimistic about one thing: the endurance of story. What and where is your favorite restaurant and what do you like about it? Les Sarments. It's a tiny exquisite restaurant in the tiny village of Puyloubier, where The Provence Cure for the Brokenhearted is set. It's tucked away up a tiny narrow set of stone steps. Amazing. Get the cheese -- some of it is downright illegal. Visit Julianna at her blog at http://bridgetasher.blogspot.com/ and at her website at www.juliannabaggott.com. Bon chance, Julianna, with The Provence Cure for the Brokenhearted!